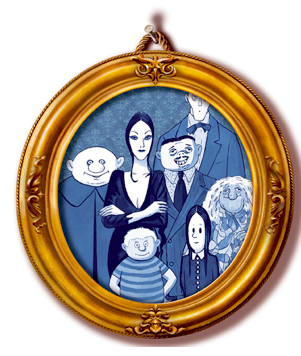 ‘Buh buh da do *snap* *snap*’… The MHS Players bring that classic tune from The Addams Family to the stage on Nov. 17, 18, and 19. The dark humor of this dysfunctional family reminds us that love conquers all. Wednesday trades her pigtails for an engagement ring and hilarity ensues when her boyfriend’s Ohioan family meet the dark and sinister members of the Addams clan. Storms, ghostly ancestors, rhymes, the color yellow, and love?! It’s all there for the older fans of the 1960s t.v. show to reminisce over while introducing younger members of the audience to the darkly comedic family. The performance by the Messalonskee High School Players is under the guidance of the new director, Shelby Thibodeau, herself an alumnus of Players. In addition, the Players are pleased to welcome as the new musical director, Mike Peterson, a long time music teacher in the district. 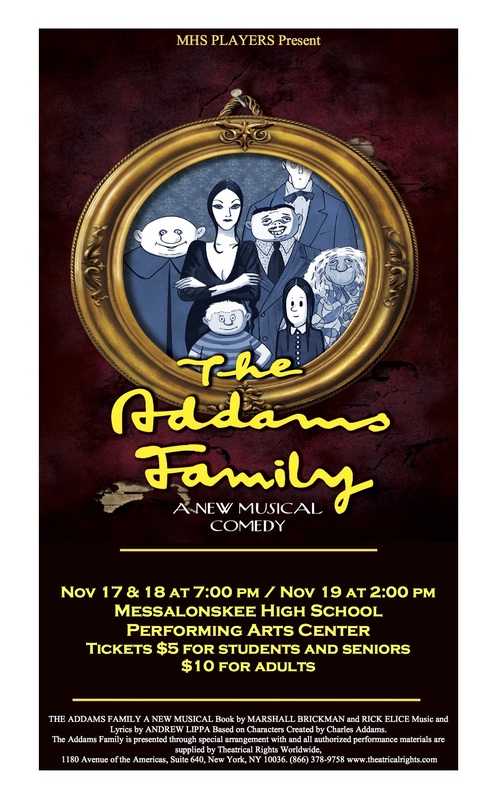 The actors are currently honing their singing and dancing while the crew hand craft the ghostly costumes of the living and the dead and build the Addams Family mansion on stage at the Messalonskee High School Performing Arts Center. All are welcome on Nov. 17 and 18 at 7:00 pm and on Nov. 19 at 2:00 in the afternoon. Tickets are $5 for students and seniors, and $10 for adults. You are currently browsing the me arts ed blog archives for the day Sunday, October 29th, 2017.